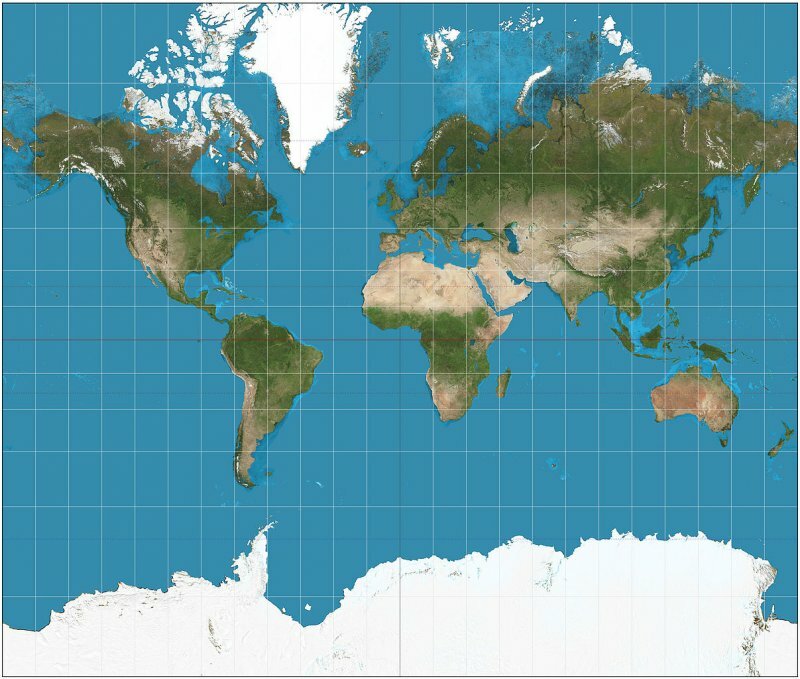 The Peters Projection (above) depicts land area accurately. The world map to which we are accustomed, the Mercator map of 1569 (below) is based on many falsehoods. 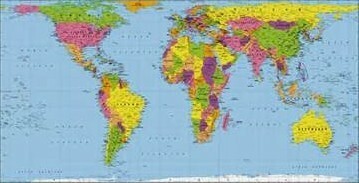 Instead of the equator being at the center of the map, Mercator places Germany at the center. This falsely attributes much more land area to the northern hemisphere. The distortion approaching the poles also makes Greenland the size of Africa: In reality, Africa is 14 times larger than Greenland. Antarctica, the second smallest continent, appears to be the largest continent by far in the Mercator map. Compare the two maps carefully. Then consider how this ancient map has distorted your view of the world. 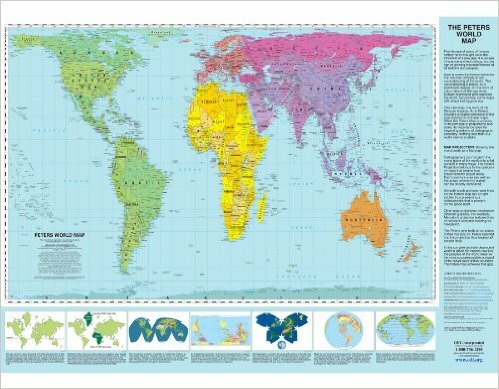 Could it be that the Southern Hemisphere, especially Africa and South America, are far more significant than our outdated maps, popular culture and news coverage indicate?